The Hadamar Mental Institution where killings of disabled people took place. Through family history and lore, Pastor Jackie Burgess describes the stigma of mental illness in her family and the attempts to hide it. The true tragedy is that many families experience this. Pastor Jackie believes that members of her extended family had to bear the systematic murder of less perfect family members, but could not protest for fear of further Nazi horrors inflicted on her family. Cemetery at Hadamar where victims of “euthanasia” at the Hadamar “euthanasia” killing center were buried. This photograph was taken toward the end of the war. In October of 1939, Hitler initiated a decree for physicians to grant “mercy of death” to patients considered “incurable of their state of health.” So began the cleansing of the Aryan race, codenamed operation T-4, after the place the officers met. Physicians would make reviews of patient’s records and mark the records with a red “+” to mean “unworthy of life”. Those who were marked with a red+ were schizophrenics, epileptics, alcoholics, homosexuals and other various diagnoses. These people were transferred to different facilities without the family’s knowledge. Then all things of value (jewelry, gold teeth, etc.) were removed. Finally, they would be “euthanized.” At first they were executed either by lethal injection or shooting, but in 1940 at the advice of Dr.Werner Heyde, Hitler had six gas chambers built disguised as showers (the first prototypes of the ones used in Poland). 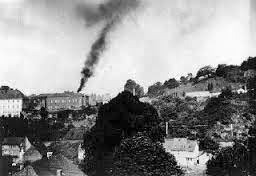 After they were injected or gassed, death certificates were falsified to read natural causes and the bodies were burned. Records indicate that 70,273 people were gassed and about 200,000 people in total were killed in the T-4 program. In August of 1941, after much pressure from the public and the church, Hitler halted the program. The gas chambers were dissembled and sent to concentration camps where similar systems had been set up. The physicians from the T-4 program were sent to “weed out” those too ill to work from concentration camps. 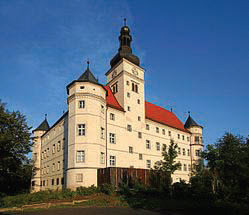 Hartheim Castle, a “euthanasia” killing center where the physically and mentally disabled were killed by gassing and lethal injection. This is what I know of the T-4 program. Since there were no survivors of this program and the officers were sworn to secrecy, all else is inferred. I come from a family who is said to have a statistically higher chance of addiction, depression and other mental disabilities. Most of my family left Germany before or during World War I but some did not leave. I believe that some of my family members were eliminated through this program. Unfortunately, we have lost contact and records of those who stayed in Germany during World War II.